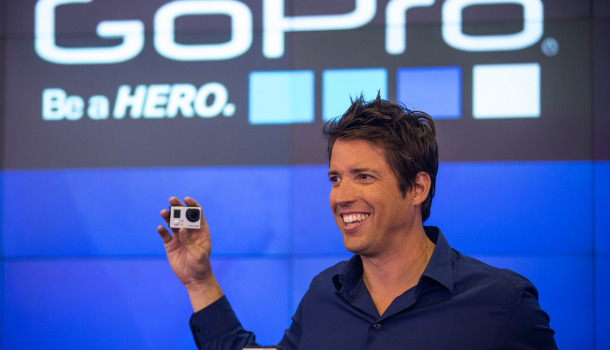 Nick Woodman’s GoPro is getting absolutely destroyed as Apple files for a GoPro like patent which has the potential to revolutionize the use of action-cameras. As of yesterday, shares finished down more than 12% at $49.87 per share meaning that GoPro is now down almost 50% from its fall 2014 high of $98.47. According to Patently Apple, Apple has officially been granted a patent for a GoPro-like camera system. Thought its not all bad news; for investors who managed to get in when GoPro released their IPO, the stock is up 74% from its June 26, 2014, IPO.